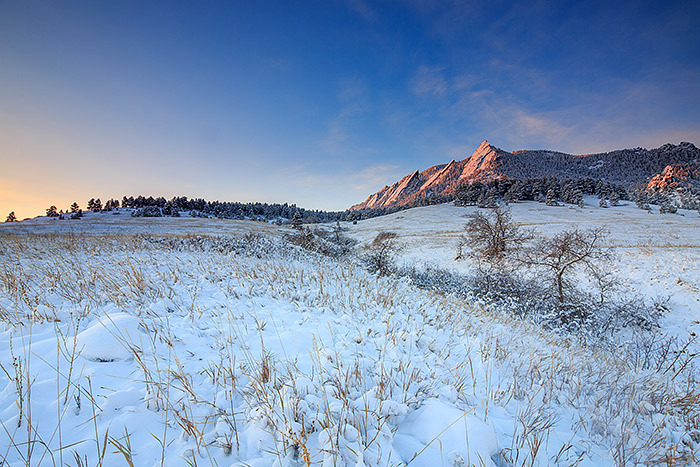 It's a cold start to the day as the Flatirons over Boulder, Colorado welcome the rising sun. The thermometer reads a very cold -9 degress Farenheit as fresh snow has covered Chautauqua Park in white. . Photo © copyright by Thomas Mangan.